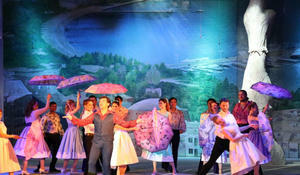 The premiere of the operetta Prisoner of the Caucasus by Rauf Hajiyev, the prominent Azerbaijani composer, was held in Karaganda, Kazakhstan. The premiere of an operetta by the famous composer and USSR People's Artist Rauf Hajiyev titled Caucasian Niece will take place at the Azerbaijani State Musical Theatre on September 25 at 19.00. Deputy Minister of Ecology and Natural Resources of Azerbaijan Rauf Hajiyev has been honored the France`s Agricultural Order of Merit for contribution to fishery.